Quick Review: If you think you’ve read every possible “undead” scenario there is, you’re in for a surprise. AfterLife transcends the typical zombie or vampire genre and audience to present a plausible explanation of where such stories come from in an unsettling but believable way. Even those who shy away from this type of science fiction are falling prey to the “what if” question that makes this book so unique – and so compelling. What if the undead live among us but we don’t recognize them? At the time of his premature death, Wesley Lohmann not only learns about this unique race of humans, but due to a small genetic marker in his DNA, discovers he is one of them. He is now a Mortui, and must leave behind everyone he knows and loves. Through death Wes learns to live, learns the meaning of love, and learns to put others before himself. Ultimately, dying was the best thing that ever happened to him. AfterLife is a richly woven tale of the struggle between good and evil, of allegiances, loyalties, and betrayals. The undead are surprisingly human and deeply motivated in their struggle for survival. Readers of all ages have been captured by the compelling story of Wes and AfterLife. Once you start reading you won’t be able to stop. And you’ll never look at a stranger the same way again. Detailed Review: Hmmmm, the description of this book got me interested in it, because I wanted to know what other scenario is possible in the book. At first, I was like 'Yeah right'. But you know what, the author hit the mark in the head, and in my face. I did feel a bit ashamed for doubting the book but after that I just carried on reading like it was the MOST AWESOME BOOK IN THE WORLD. Yup, you heard it. It's like Warm Bodies, where the main character is a zombie, but in this book he's called a Mortui. Mortuis are people who die a premature death so they don't have to go through a second death. Cool right? So if they die, they are able to come to life again since their soul doesn't sever from their body. This book was told from two main characters in the story. The protagonist is a man named Wesley Lohmann who killed himself for a woman and finds himself alive a few hours later. But what's different between them is that they come from different Mortui organisations, the Atumra and AfterLife. Just think of it this way. The Atumra think themselves as gods and want to take over the human race. 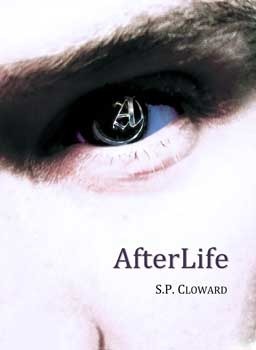 AfterLife just wants live peacefully with humans and help them in any way they can. But what's the best about being a Mortui is the MEDITATION. Don't just stop reading. There's more. Mortui's don't sleep although they look like they do. They MEDITATE. First they can start making their own dreamland. Wesley did his on Disney World, which was quite helpful in the end to help defeat Seth. So imagine if you can build a whole world inside your head AND go inside it while you're asleep. It's even better than dreaming. It's permanent. Brief Review: So what's good about this book? EVERYTHING. The plot, the characters, the setting, the ingenious mind of the author who managed to conjure up this book. I don't mean to make the Mortui feel more superior to us, but it's sort of true.